GIVING CHEFS NEW GOURMET FLAVOURS TO PLAY WITH. Our daily harvests bring the farm into the kitchens of Dubai’s most high-profile restaurants. 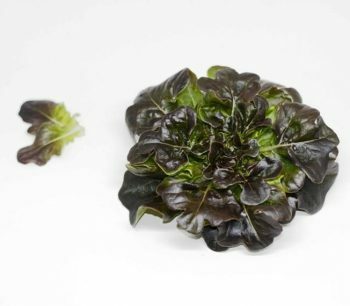 We have carefully chosen to grow the finest ingredients that are used by chefs to add taste, artistry and creative flair to their a la carte dishes. 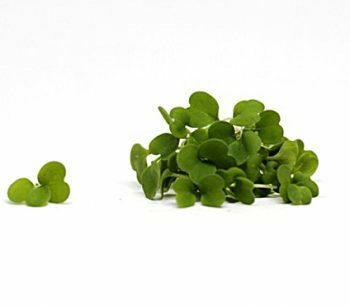 Our original and best-selling collection of brassica micro-greens includes four well-known and versatile greens. We currently grow two varieties of mustard, which have been selected for their balance of mild and intense flavours. 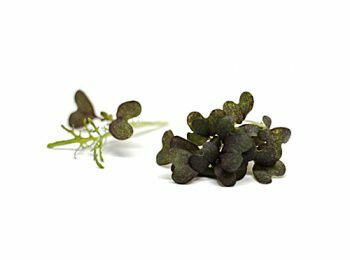 These very attractive micro-greens add a spicy bite to a wide variety of dishes. 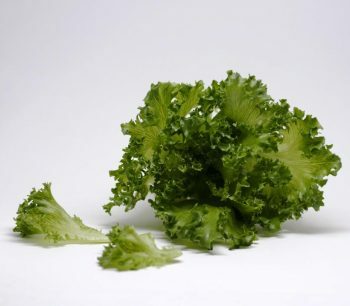 With its spicy flavour and dark red, ruffled leaves, scarlet frills mustard is ideal as a garnish in gourmet cuisines. 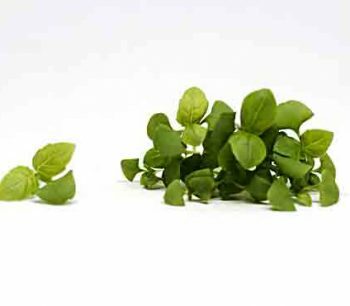 Its peppery bite pairs well with rich meats and Asian cuisine, but it can also add a burst of flavour to salads. 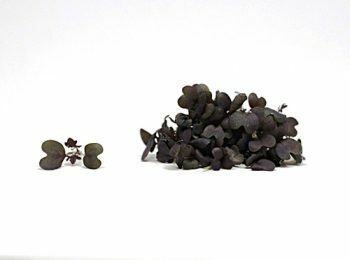 This variety of mustard is herbaceous, nutty and slightly sweet, with an intense peppery bite at the end. 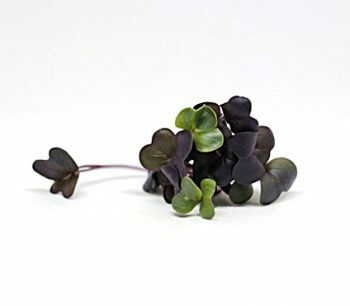 Its burgundy, heart-shaped serrated leaves on a wispy stem are smooth and crisp. Red mustard is best enjoyed raw in salads, as well as in Asian and South American dishes. 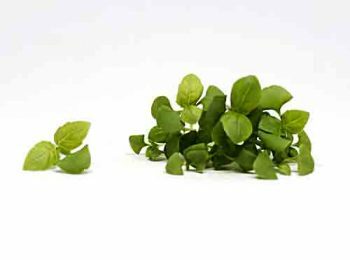 Our collection of four different basil micro-greens brings fresh garden flavours and Mediterranean aromas to your kitchen. 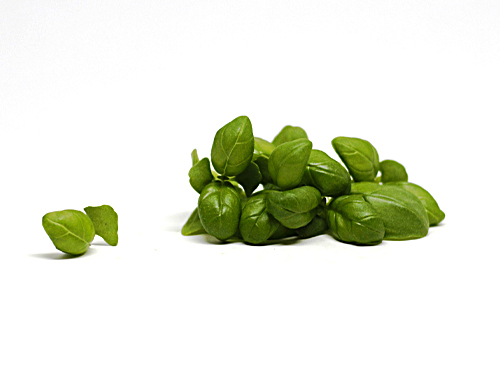 Bursting with vibrant colour and intense taste, these basils are a tasty addition to both sweet and savoury dishes. 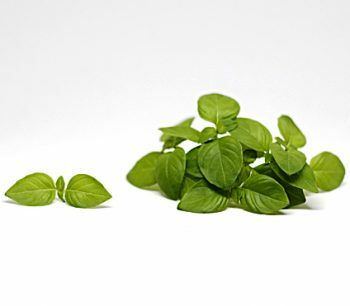 This crisp, tender, and aromatic basil has a subtle flavour of cloves that’s followed by a sweet finish with notes of citrus, pepper and mild anise. 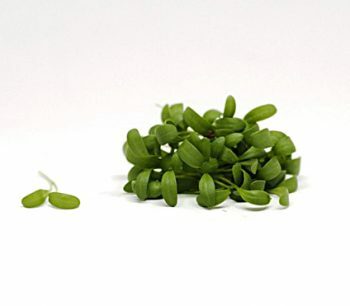 It’s a dainty micro-green with bright green leaves attached to a slender stem, and is refreshingly crisp and tender. 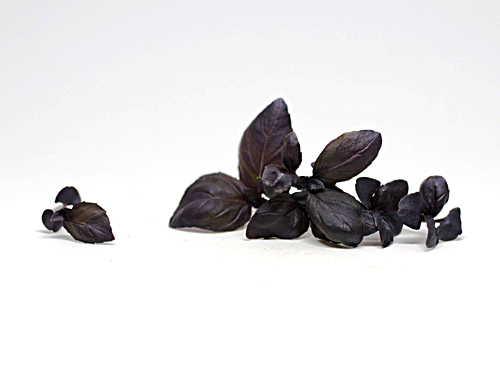 This delicate variety of basil is well-liked for its spicy, cinnamon-like aroma and taste with hints of liquorice. 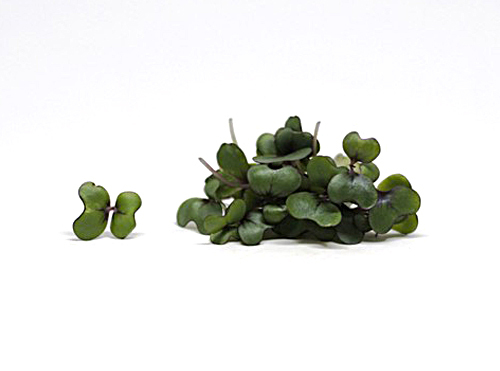 It’s a narrow-leafed micro-green with tiny green leaves that are crisp and tender. Cinnamon basil puts a delicious twist on sweet and savoury dishes, whether as a garnish on raw dishes, soups and hot drinks or added to a pumpkin pie filling and flavoured whipped creams. 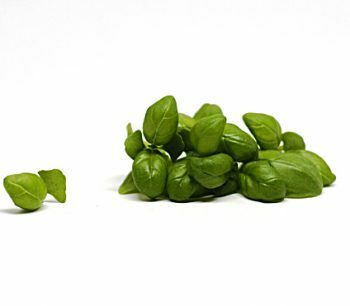 With its fragrance of sweet lemons, citrus flavour and classic herbaceous tones of basil mixed with sweet anise, there’s plenty to like about lemon basil. This crisp and tender micro-green has light green serrated leaves attached to a slender stem. 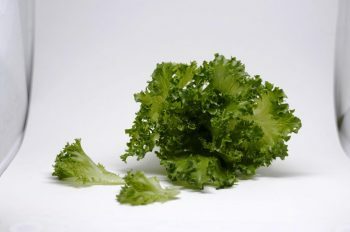 It’s best consumed raw or added as the perfect finishing touch to soups, stews, curries, steamed vegetables, grilled meat dishes or stir-fries. 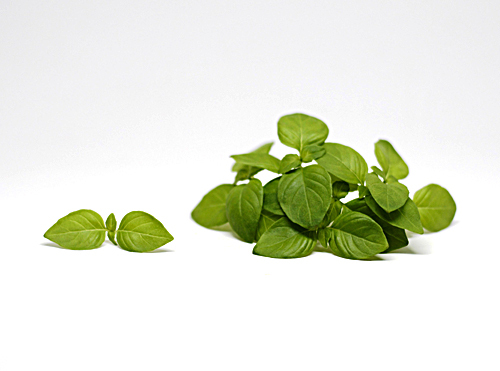 A stronger substitute for Italian green basil, this micro-green adds flavour and colour to a variety of dishes. 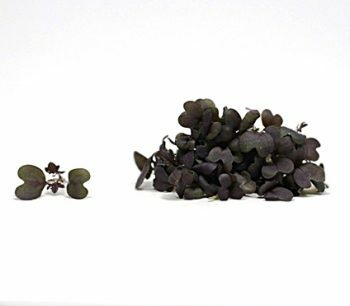 Its aubergine-coloured, serrated leaves create a crisp and tender ingredient. 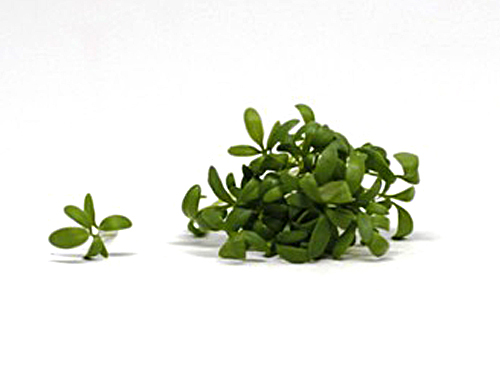 It has a sweet and aromatic flavour bursting with anise and undertones of ginger. 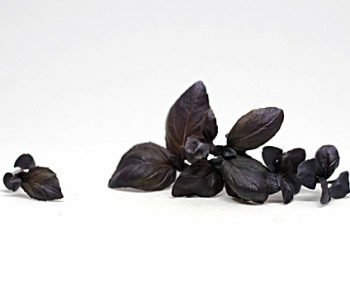 Garnish desserts, salads, pasta dishes and pizzas, infuse vinegars and oils, or create a delicious purple pesto. 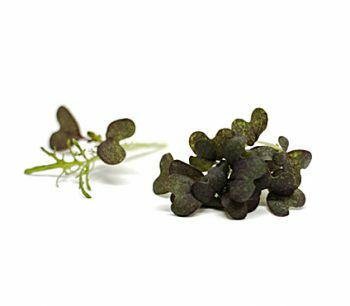 An essential addition to any chef or gourmand’s garnishing kit, these colourful, dainty spices add a nutritional and powerful punch to a variety of recipes. 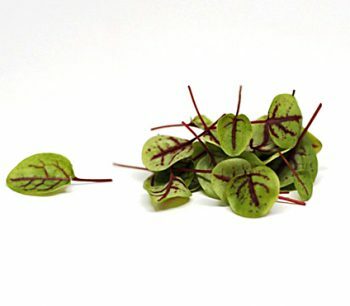 Add a burst of colour to any plate with beetroot, which needs no introduction with its intensely purple stems and bright green leaves. 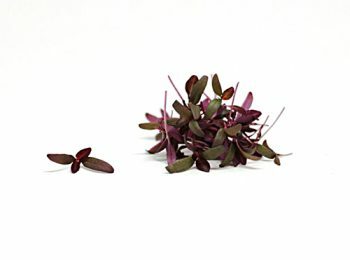 Packed with plenty of crispy bite, beetroot micro-greens have a unique sweet, earthy taste – and a mild beet flavour. It pairs well with fruit and vegetables including green apples, blood oranges, carrots, bell peppers, and onions, as well as seafood. 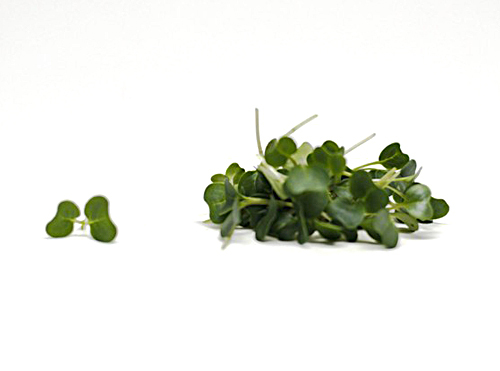 A favourite with chefs for its mild but spicy peppery flavour, pepper cress is similar in taste to watercress. Its bright green crisp leaves, which are attached to a slender stem, release a grassy taste followed by a bold and tangy spiciness. 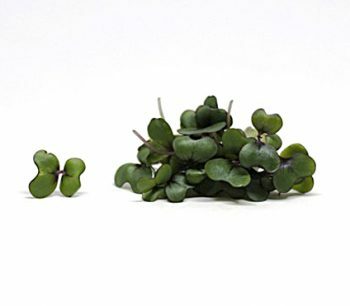 This hugely appetizing micro-green can be added to both cold and hot dishes, and is perhaps best paired with raw dishes such as ceviche. 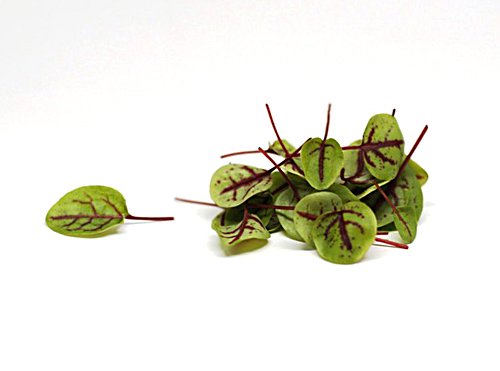 Add plenty of colour and flavour to a variety of sweet and savoury dishes with sorrel. Its bright lime-green leaves with distinctive red veins release a fresh, tangy tartness with just a hint of lemon. 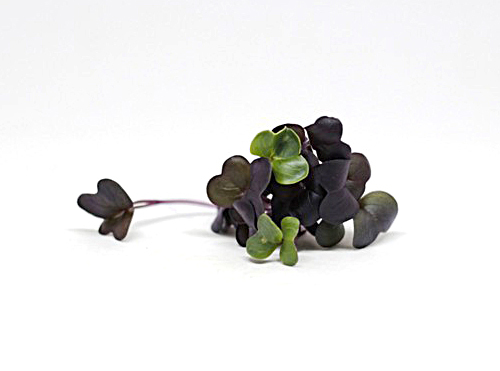 As well as having the sharp flavour as regular Sorrel, this microgreen can bring a touch of elegance to the table. 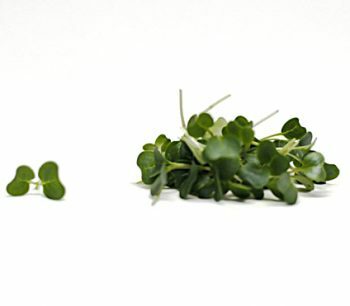 A showstopper of a micro-green, wasabi cress brings a sharp peppery flavor to a variety of Asian savoury dishes. 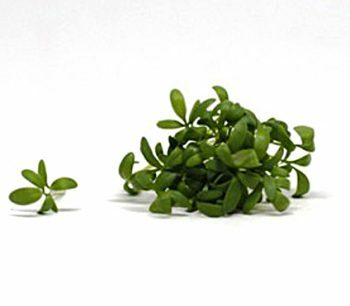 Its miniature light green leaves tease the palate with an initial mild, sweet taste, which quickly bursts into an array of spicy notes that mellow quickly. 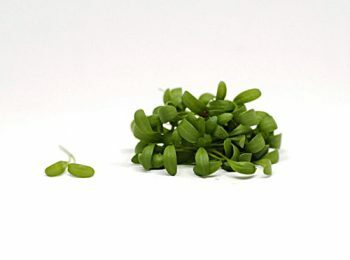 Similar to horseradish, the Wasabi Cress is the perfect addition to sushi, sashimi and other South East Asian dishes. If you’re looking for maximum impact on the palate and plate, this variety of micro cilantro offers big flavor in small leaves. 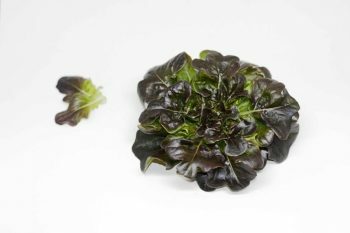 We grow two varieties of lettuces that boast naturally rich flavour, firm texture and bright colours in bite-sized leaves – making them perfect for salad bases.